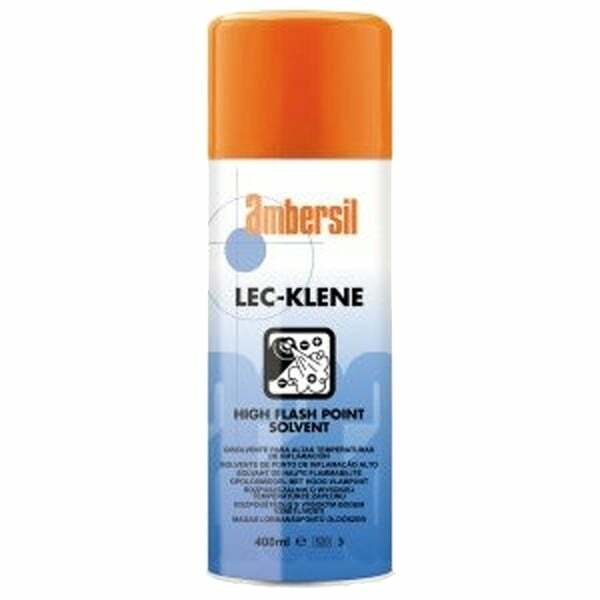 Lec-Klene High Flash Point Solvent Degreaser. High flash point degreaser - safer in use. Ideal for use in confined areas. Powerful solvent cleaner which rapidly removes oil, grease, wax, tar, bitumen, brake block dust and other general soiling. No detrimental effect on painted surfaces, ferrous and non-ferrous metals, and epoxy based composites, acrylic sheet, plastics and rubbers. Meets military and industrial specifications: DEF STAN 68-148 issue 2. ASTM F519-97 (hydrogen embrittlement). ASTM F1110 (sandwich corrosion).